Medical/dental office available. Original owner. 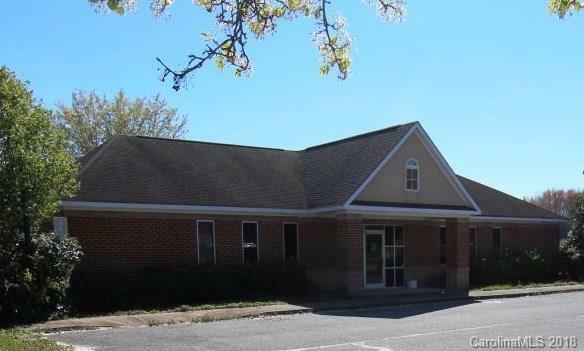 Prime location on a major 4 lane highway (Highway 74) in Marshville. All brick building. 4 exterior doors. Private entrance to Physician Private Office. 4 restrooms. Reception/waiting room; front office; nurses station; Echo room; 5 examination rooms; supply room; employee lounge; billing office; lab; x-ray room and two Doctor's Offices. Multiple storage closets. Battery operated egress lighting. Storage building on 0.76 acre. Two electrical panel boards. Existing brick marquee signage on Highway 74. Heated sq footage is 3,074 sq. ft.Future Monroe Bypass will bring increased traffic in front of building. Furniture, the Goodwill in the Medical Practice, x-ray and other medical equipment is available. Will be negotiated between Buyer and Seller. Building sold as is. Tax address is 7204 E. Marshville Blvd, Marshville, NC 28103.